Swim (56:19): I knew the swim was likely going to be the key deciding factor in my race and I knew I needed to come out in sight of race favorite Chris McDonald. As a result, I simply lined up next to him on the fair left side of the pro field as we waited for the fun to begin. The gun fired and we were off. I swam fast, but controlled, and it appeared I was in great position early on. That is until about 200 meters, when I found myself swimming into a fallen log in the narrow channel. I never panicked, but for some reason with the chaos there was no way to go right so the only thing I could do was shimmy over it. In that time I watched the lead pack swim away and gain a 10 meter gap. However, I wasn't about to let the race slip away, and I don't know if it was adrenaline or what, but I found myself clawing my way back to the pack. Before you knew it I was back and happy to recognize the very identifiable arm swim of Chris McDonald. From there on out I was able to relax as I found some feet and dialed down the pace. Given that the water temp was 85 degrees, and the forecast for the day was low 90's, I knew dehydration was going to be the real battle of the day. For a while I swam on Bree Wee's feet, but then she faded, and friend and local Madisonian Jackie Ardent took over the pace making. At this point I knew there were only a few caps in front of us and I was hoping Jackie would make the effort to close the gap but we never made up any ground. It didn't really matter though as the only goal was to come out with Chris, and that was accomplished. T1 (2:14): Knowing that Chris McDonald was right by my side I knew I was in good position, but I didn't have a lot of time to fumble around in T1. Normally I put socks on in T1 for the bike, but I didn't have the time and instead decided to keep moving and put them on in T2. As I ran to my bike I made sure to take notice of which bikes were gone and I was pumped to see Patrick Evoe's bike still in transition as Chris and I headed out together. Bike (4:39:52): On to the bike we went and Chris and I settled into a comfortable pace. Place wasn't important at this point, but we were in 3rd and 4th place respectively. 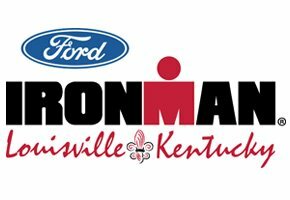 After a few miles on the bike we passed 2nd place pro Jared Woodford and made it a decisive one as we continued out of Louisville. Chris and I would trade places for a while as we played cat-and-mouse, but we played too much as Patrick Evoe caught up to us by mile 25. From there the pace briefly accelerated but it become quickly apparent that the three of us were going to be riding together for quite some time. At mile 28 we made the pass of Andrew Hodges and we took over the lead right before the start of the loop. Overall the pace was pretty conservative as nobody wanted to take a leadership role, but I wasn't too concerned as we were still making good time and the longer we stayed together the bigger the gap we would have on the run. We would continue together until roughly the 75 mile mark when Patrick finally made a move. Sensing some weakness from Chris I was happy to let him go in hopes that maybe Chris would burn a few more matches closing the gap, but he never made a move and he was clearly done pushing. I made an effort to push at that point, but it was too late, Patrick was gone. I continued ahead solo and when I made the turn back to Louisville I knew I would have a headwind for the last 33 miles. The weather forecast did not dissappoint and to make matters worse I had developed the worst "hot spot" ever on my right foot. It was my first Ironman without socks and it was definitely a mistake. Regardless, I sucked it up, cranked out the watts, and tucked into aero. 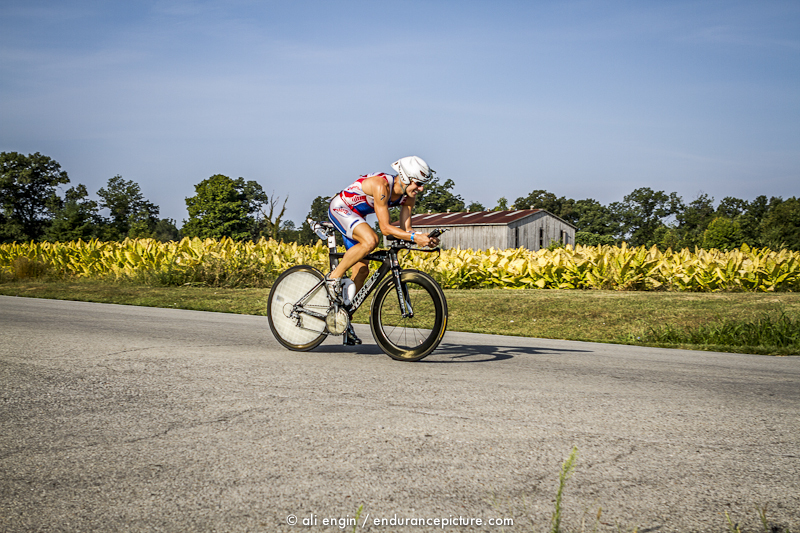 It was brutal, but by this point I just wanted to be done with the bike and get on to the run. 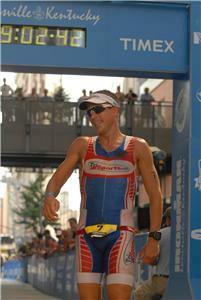 T2 (2:44): To be frank, T2 was a disaster. For some reason I had this great idea that I would summon all the volunteers to get water and dump it on me too cool me down, but it ended up only creating a muddy pond beneath my chair as I attempted to finally put some socks on. The socks would end up soaked and muddy from the get go, but there was nothing I could do other than to chalk it up to poor planning on my part. Lesson learned. Run (3:21:33): I headed out on the run and over the bridge to an early out-and-back section that would tell me all I needed to know. Unfortunately it told me I was a little less than 5 minutes down on Patrick and frankly I lost focus of the win at the point. With the day being as hot as it was, I never take for granted anything, and passing out is certainly never out of the possibility I knew that catching and passing Patrick was possible, but with another Ironman in two weeks and Leadman Bend in four, I made the decision to keep the run on the light side and simply roll the fitness forward. It was a bitter pill to swallow to throw in the towel so early on, but sometimes to win the war you have to lose a battle. I realize this isn't the way a lot of other athletes or coaches think or want to think, but as someone that races as much as I do, I know that going that extra 5-10% lengthens recovery by 50-100% and as a developing athlete I remained focused on developing. 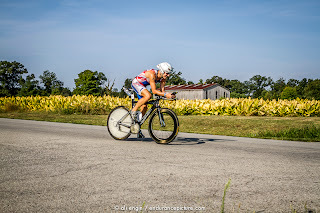 For the rest of the run I had as much fun as possible as I cheered on Jackie Ardent going for the win and other familiar faces from the triathlon world. 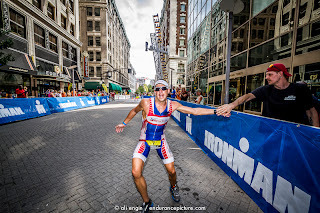 I had my signature smile going from ear-to-ear, and I don't even remember having any dark moments, which is weird because everyone has dark moments in an Ironman. As always, I came down the finishing chute smiling, and I can honestly say that the feeling never gets old. I slapped every single hand I could as I savored the moment of electricity on 4th avenue. Overall (9:02:48): Anytime you can finish an Ironman with a smile on your face and on the pro podium is certainly a good day. Despite the fact that nobody gave me any shot to win this race, I felt I could have made some different moves that could have led to me winning the race. Regardless, I have to realize that I am still new to this level of the sport and I still have a lot of experience to gain. 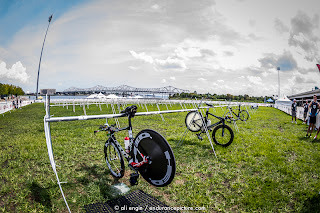 It simply isn't the person that has the best fitness that wins these races and you have to come into these races with the right plan, execute it to the T, and have a little luck along the way. 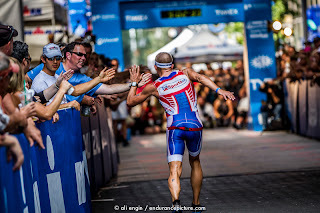 Final Reflections: I continue to make great strides in this sport and I feel like I have moved my swim to the point where it is starting to put me in the right position going into the bike. 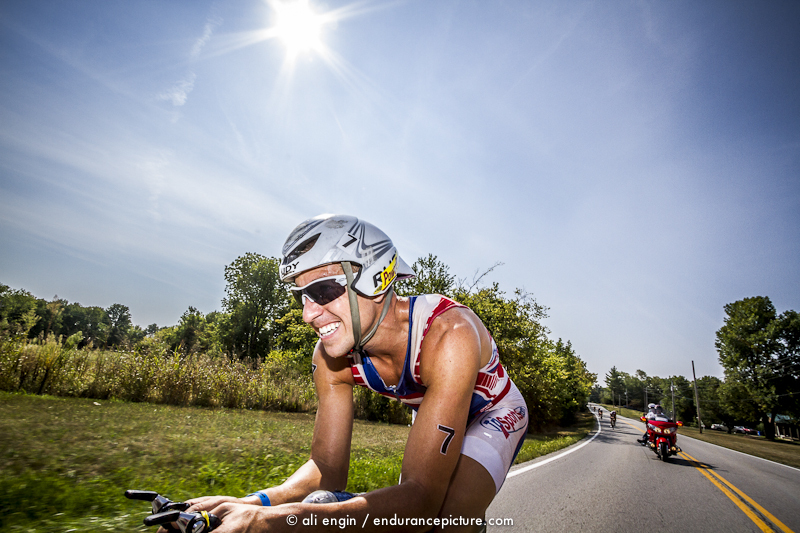 Although I am not pushing my run at all in these races, at some point I have to take a chance and go for it. Looking back at it and knowing what everyone ran there is no reason I couldn't have run a 3:00:00 flat marathon to win the race, but unfortunately I haven't been a gambler and instead have focused on growing as an athlete as fast as I can. 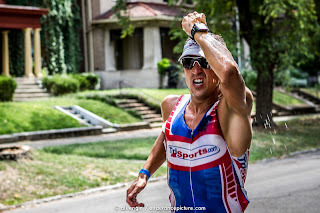 I continue to be smart about racing and I have been trying to extract the most amount of experience and swim/bike fitness thru racing frequently. However, with that being said, if I see the right opportunity I will take it. 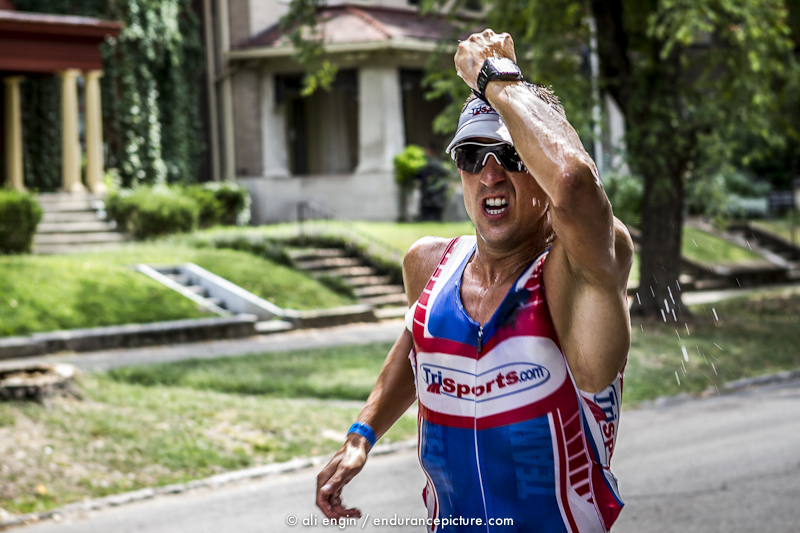 I'm racing again this weekend at Ironman Wisconsin and you never know what can happen. Don and Jan Wilcox - Jan and "The Don" had a amazing homestay for me that allowed me to perform at my best on race day. Jan has one of the best attitudes on life I have ever seen and she is inspiration to me as an elite triathlete with her can-do attitude. She is going for her first Ironman at Ironman Florida and I hope I can be there to put that medal around her neck. 2XU - for your wetsuits, compression gear, and everyday training gear that rocks!! Drip Drop - for making sure I stay properly hydrated on a 90+ degree Louisville day. 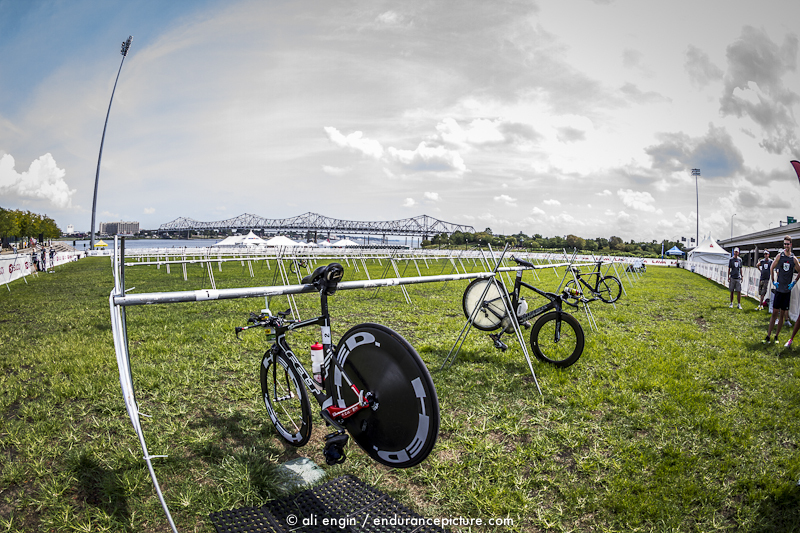 A to Z Cares - for your continued support of my training, racing, and overall well-being. If you ever need Asssisted Living Placement for a loved one in Tucson please check them out. Steve Schwartz Coldwell Banker Realtor - for your continued support of my training, racing, and overall well-being. If you need a great Realtor in Madison, WI please consider Steve. Ali Engin - for always taking great photographs and capturing that smile. I am a volunteer. Awesome job. 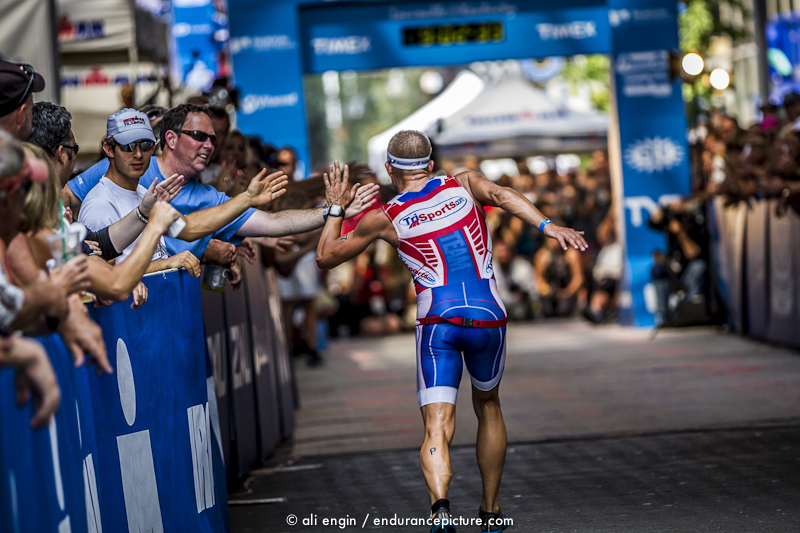 I saw u finish..and to hear the words "You ARE an IRONMAN!" Is amazing & a HUGE accomplishment. Let alone placing 3rd that's Hotdamn! Congrats!